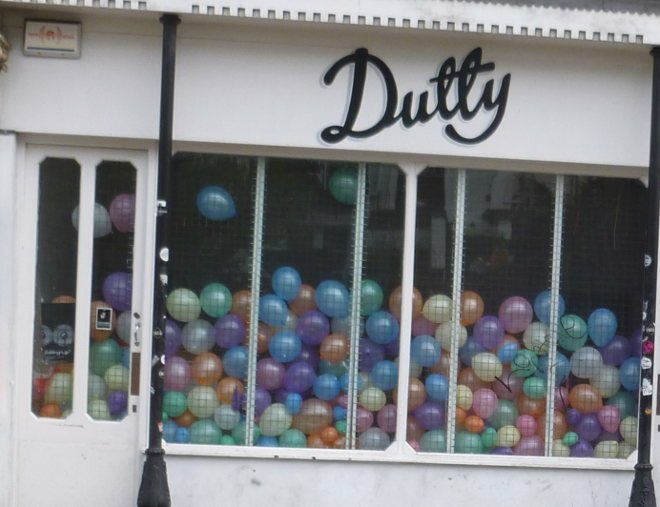 Walking to my sister’s house, I spotted this shop window brimming with balloons. What could be happening here – preparations for a birthday party, a third wish gone awry, an attempt to spell out a secret message using a code of coloured latex, or something else entirely? What metaphors could they represent, or what potential catastrophe? Are they harbingers of happiness, or something far more sinister?